I was in a dilemma on what to post today? oh, yes this happens very rare, where i have 2 or more posts and have to decide on what to publish first. 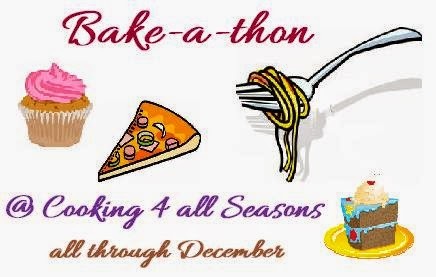 The other post is actually a cake recipe, which has received ohh, ahh and oolala's from everyone. So i was here thinking on whether to go with this Bread or Cake? Finally, decided to go with First-in-First-Out, so here comes the carrot focaccia. Focaccia is an Oven-baked, Italian flat-bread, that can be seasoned with flavorsome herbs. 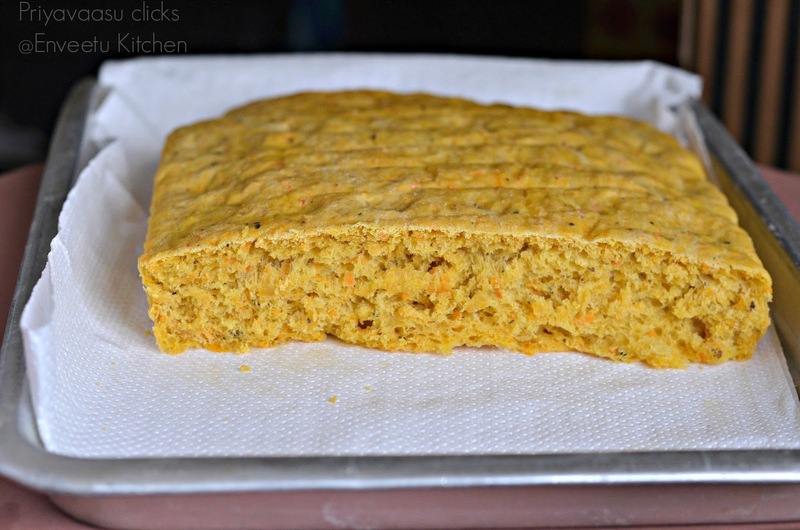 Now, i came across this colorful carrot focaccia here, and immediately set to bake this. Since we have already tasted normal focaccia and focaccia caprese, i wanted to see how a veggie in this bread would taste like, it turned out good, wanted to add herbed oil to this, but didn't have time to make it. If you are planning to make, try it with some herbed olived oil, it must add a nice deep flavor to it! Take flour, salt, yeast, shredded carrots in your processor bowl. Pulse it twice to mix well. Add Basil, oregano and chili flakes and pulse again to mix. Now slowly add 1/2 cup of water to this and start kneading a soft dough. Add oil after water and knead for another 2 minutes. I was kneading in my processor, the dough turned a bit sticky, so i had to take it to kneading surface. If you are kneading by hand, Knead it for 5 minutes to get a soft and smooth dough. Do not knead any extra flour, just dab some olive oil in your palms and knead to get a soft dough. The dough will still be sticky but comes easily off the bowl. Keep the baking tray ready with parchment. I used aluminium foil pan to bake, it is 12X8 inches and 1 inch tall. Transfer the dough to the pan, flat and stretch it well to fit the pan. Let it rest for an hour, while it doubles in volume. Once it doubles, brush the surface generously with olive oil again and make dimples on top with your finger. Preheat the oven to 220 C and bake the bread for 20 minutes or until the top turns golden brown. Take it off the oven, let it stay in the pan for 2 minutes, transfer it to wire rack, let it cool completely. Serve it with a spicy dip or with a warm bowl of soup. When i baked this, i didn't add chili flakes and found the bread to be a bit sweet for our palate.So i made a Spicy onion-tomato relish, to pair with it. So, if you prefer a bit spicy bread, add chili flakes or reduce the amount of carrot to 1. Very catchy focaccia, love that yellowish colour of the crumb..Too delicious. Love the addition of veggie to focaccia. Yours turned out fluffy and delicious. 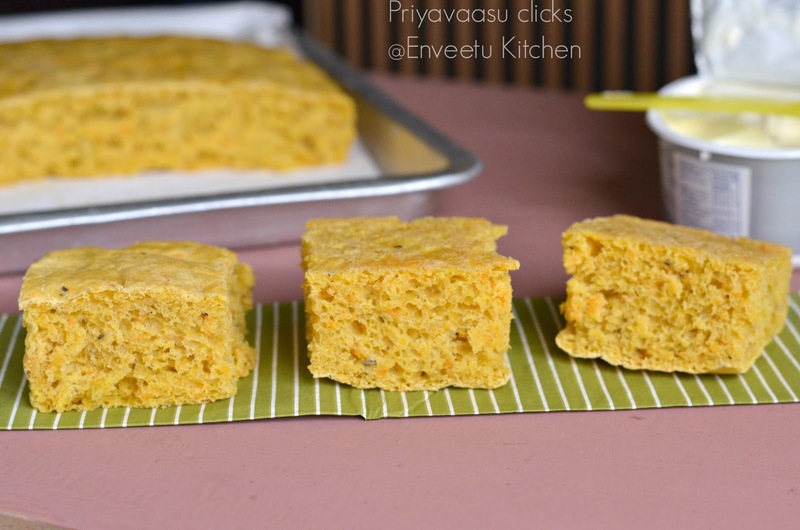 That's a wonderful bread with carrots Priya..sounds so healthy...now waiting for the cake to make it's presence!.. 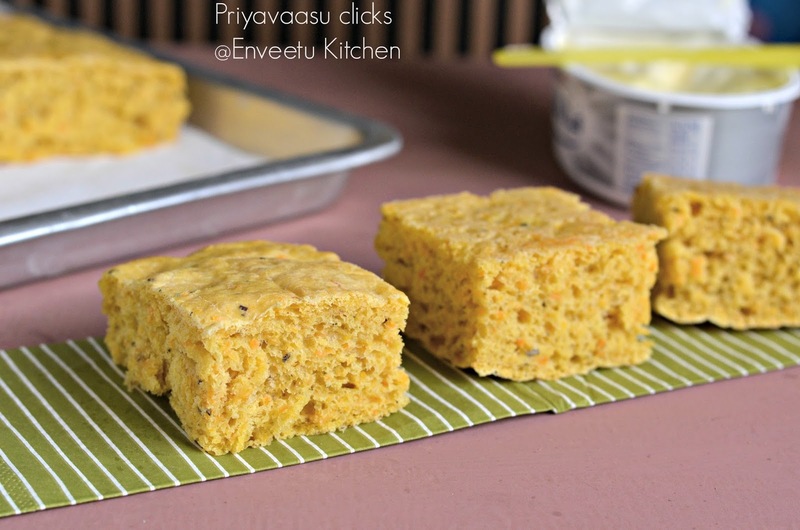 what an amazing blog you have with such wonderful collection..this idea of carrot focaccia sounds healthy and texture is great too...definitely a recipe to try. Focaccia is fluffy and looks amazing. Love the texture of it. Nice recipe. what a uniquely flavored focaccia - you got great height!